Many cocktails can benefit from the dark sweetness of brown sugar and it is easy to make your own simple syrup at home. This recipe uses brown sugar for the base and adds traditional holiday spices to give it a warm, rich twist that is perfect for winter cocktails. Be sure to use whole spices to make straining easier. The only exception is with the nutmeg, which will have to be grated. You can also place all of the smaller spices into a tea bag or ball and place that into the syrup. This may eliminate using a strainer completely because you can simply fish out the cinnamon and orange with a large spoon. The vanilla bean is optional because it is one of the most expensive spices on the market. If you can, I do recommend adding it because it really is sort of a finishing touch to the spice blend. In its absence, 1/2 teaspoon of vanilla extract can be used. Bring water and spices to a boil. Add sugar and stir constantly until the sugar is fully dissolved. Remove from the heat, cover, and allow to cool completely. The cooling time allows the spices to infuse the syrup. I typically leave them for at least 3 hours and you can taste it periodically until it reaches your desired flavor. Strain the spices from the syrup using a fine mesh strainer. This syrup will stay fresh for about 2 to 3 weeks in a well-sealed bottle. The proportions above make about 1 cup of syrup and it is easy to make more if you like. Simply increase the water and sugar, keeping the two measurements equal. A variation of this recipe adds cranberries and is used in the Silver Spiced Bell cocktail. Another brown sugar recipe skips the spices and opts for jalapeno pepper in the Epice Sidecar. Not all of these cocktails actually use brown sugar syrup, but that doesn't mean that they cannot be enhanced with it. In fact, the majority of these are better with the syrup and they are the perfect excuse to make up another batch. 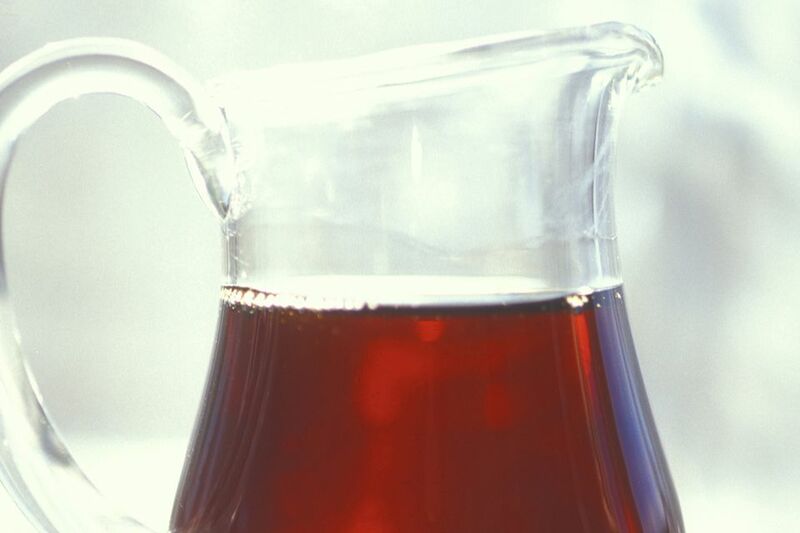 A Nice Warm Drink - The perfect example of how this syrup can eliminate ingredients while adding more flavor to a hot drink. Autumn Chai Swizzle - An easy Irish cream recipe, use the syrup instead of raw brown sugar but do keep the cinnamon stick. Ginger Julep '68 Fastback - The spices of the syrup work wonders with ginger and bourbon and the muddle is easier with syrup. Hot Buttered Rum - Add your spices via the syrup and skip the brown sugar. This holiday favorite just got easier! Peach Cobbler - If you don't have a hazelnut liqueur in stock, the brown syrup is a great substitute in this creamy cocktail. Peartini - The recipe calls for 'spiced simple syrup' and brown sugar is a natural fit. Pumpkin Patch - If you add ginger to the spice mix above, you have a syrup that replaces 'pumpkin spice seasoning' and can replace the honey, sugar and spices in this drink. Almost Any Warm Drink - Even use it as a sweetener in your morning coffee or afternoon tea. Many Holiday Cocktails - Particularly those that already use the spices, simply skip those and use the syrup instead.